quarrygirl.com » Blog Archive » the hugo’s tacos discount continues! 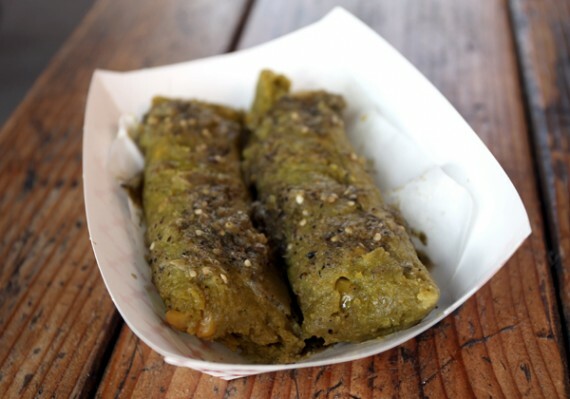 get some green tamales! pictured above are probably some of the best tamales i’ve ever eaten. spinach and sweet corn all mixed up together, smothered in jalapeno sauce. just be sure to request no sour cream. 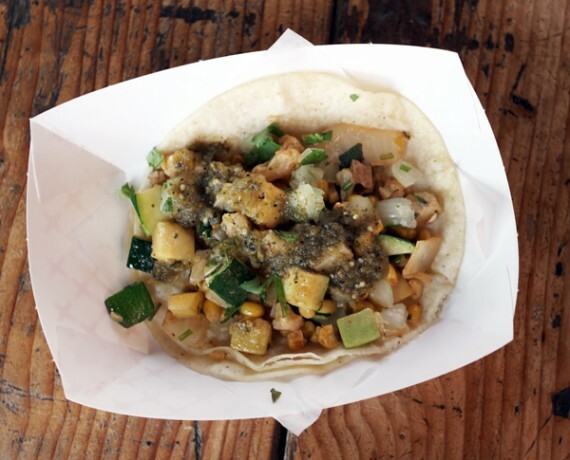 vegan soft taco with mixed veggies, jalapeno salsa, onion, and cilantro. $1.89 with QG discount! of course when eating at hugo’s tacos, you have to order at least one taco. with the QG discount, they are under 2 bucks each, and come with your choice of filling and salsa…hard or soft shell. so freakin’ delish. hurry and get over to hugo’s tacos for dinner this week! the discount period is running out. My GOODNESS, those green tamales look scrumptious! I want to try those vegan green tamales! Those look marvelous. Okay, I must find an excuse to coast over to the Studio City location in the next day or two.